Walking on to the Natte Valleij farm is like being transported back in time as much of the winery, the cellar and the Cape Dutch family home are how they were from the days they were built way back in 1715. 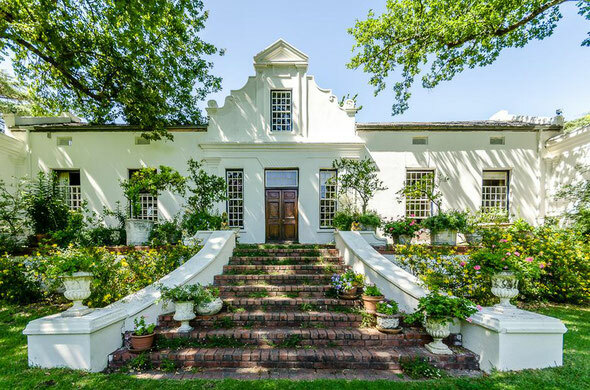 Tradition and history run through this beautiful homestead situated at the foot of Simonsberg. It is currently enjoying what is actually its second period as a respected winery in the region having first made wine and brandy in the first half of the last century before ceasing production in the 1940s. When Alex Milner’s family first bought the farm in 1969 it was not to turn it back into a winery, but to use its vast spacious land and cellars as the perfect home for what went on to be a stud farm for some of the most respected and revered racehorses in South Africa. The farm and homestead have remained in the Milner family ever since. But it was not until 2005 that, once again, the cellars, that had remained dormant for close to 50 years, other than been turned in to stables, were once again filled with barrels of wine. 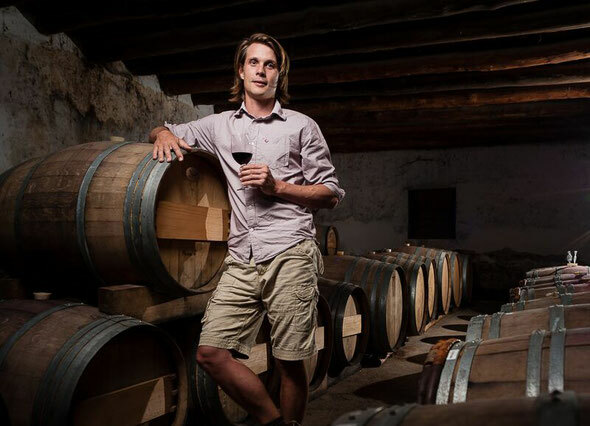 That’s down to Alex Milner who took on the main winemaking duties in 2004 after studying oenology and viticulture at the nearby Stellenbosch University. Milner prides himself on keeping to the same winemaking traditions of the 1940s. This is very much an old school, hands-on affair where the grapes, as it says on its website, are picked “by hand, bottled by hand, corked by hand, labelled by hand, and most defiantly drunk by hand”. His winemaking philosophy is to intervene with the grapes and the process as little as possible. He even uses old winery machinery, like a hand held ratcheting wine press system, to treat the grapes as sensitively as he can. “It is all about having a hand feel for the wine,” he explains. He only uses, for example, very old barrels where there is the minimum possible interaction between the wood and the wine. Milner is becoming famous in the notoriously competitive Cape Winelands for his growing and treatment of the classic French grape variety, Cinsault, which although grown in some parts of in South Africa, is rarely used in bottles as a single variety. He cheekily describes Cinsault “as a poor man’s Pinot Noir”. But not the way he handles it. “You have to work it very carefully,” he explains. 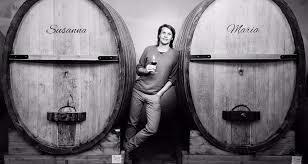 His love affair with Cinsault started whilst working vintages in France, most noticeably at Domaine de Triennes in Provence, during his days training to be a winemaker. It was, he says, also a “reaction against” the big Shirazes coming out of Australia at the time. “Cinsault has such drinkability by comparison,” he says. What particularly fascinates and excites him is combining different blocks of Cinsault grapes from different regions to see the different styles of wine they produce. For example, he currently sources his Cinsault from four different plots across four wine regions: Paarl, Darling, Stellenbosch and Swartland. Darling is a particular favourite for Milner as it has “many old plots” hidden away amongst the big wheat farms in the area. But each plot gives different layers and textures that work differently when combined together. It is a pleasure to walk through the old cellars and the beautiful gardens and imagine how life on the farm has changed over the years. Even the names of Milner’s wines are steeped in history. Like its P.O.W which is named after an Italian prisoner of war who took refuge on the farm during the Second World War. 'Poor man's Pinot Noir' - sappige elegante wijn , doet denken aan een fijne Pinot, met de geuren van een snoepjeswinkel. Geen additieven, spontane fermentatie, oude vaten .. The father to our national varietal Pinotage and once stalwart red varietal of the industry, Cinsault has since fallen into obscurity. Affectionately still called Hermitage by the many old timers, it creates superbly drinkable wines festooned with red fruits, spice and surprising structure to age gracefully. This tribute to our wine-making past was hand crafted from a forgotten patch of bush vines that have resolutely withstood the tempest of wine globalization and showcases this varietal’s essence.